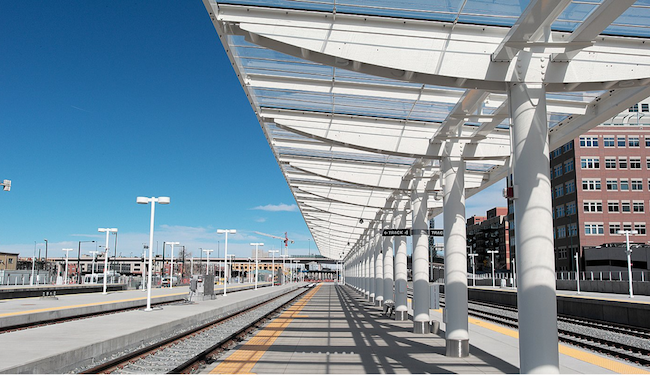 Denver’s Union Station, a multi-modal transit hub built by architecture firm Skidmore, Owings & Merrill, opened up last month. The ribbon cutting ceremony severed the notion that transportation hubs are drab, gray places that smell suspiciously of food products and cleaning chemicals. 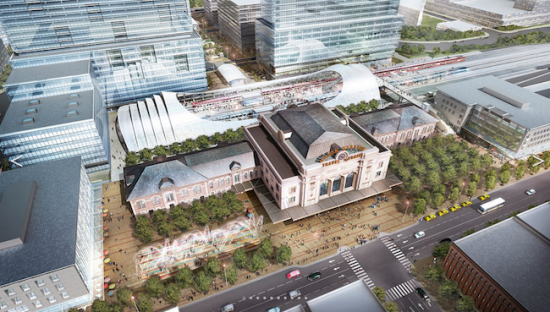 What does the Union Station Bus Concourse do differently? Everything, apparently. Its sweeping design acts as a converging point for local commuters, airport bound travelers, and out-of-city destinations. 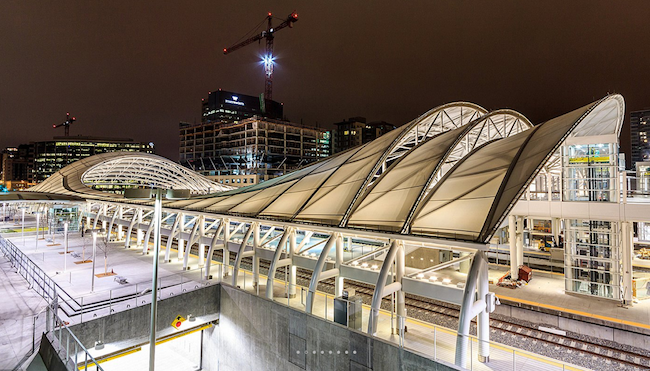 Spanning the Amtrak train tracks is an outdoor canopy built from white arch trusses. The half-moon structures swoop up to 77 feet in height before touching back down 120 feet away on the opposite side. The majestic arches offer shade and weather protection to the platforms below. 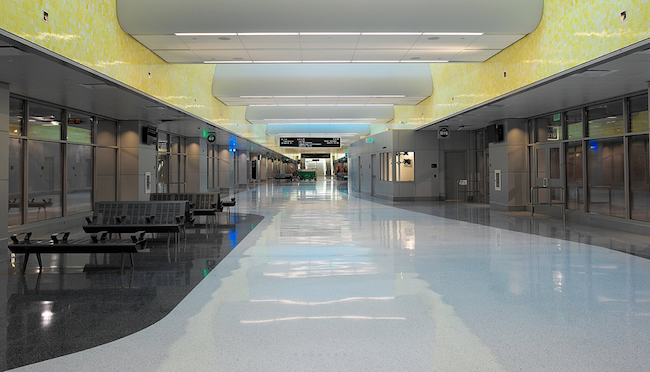 The interior’s design brings in terrazzo floors, yellow glass tile work, skylights, and glass pavilions. Union Station has the capacity for 200,000 daily trips—a number that officials expect to hit by 2030. Designers hope it sets a precedent not just for transportation abilities, but acts as a beacon for other public transit structures nationwide.